If you haven't already read it, I wanted to draw attention to this week's Washington City Paper cover story, "The Missing Link," which delves into the murky lineage of the half-smoke. It's a great read. The writer even orchestrates a taste test of all the half-smokes he could find in markets, with the help of chef Greggory Hill (of David Greggory and the soon-to-open M'Dawg Haute Dogs). You'll have to read the story to find out which sausage wins. So where do you get your half-smoke fix? 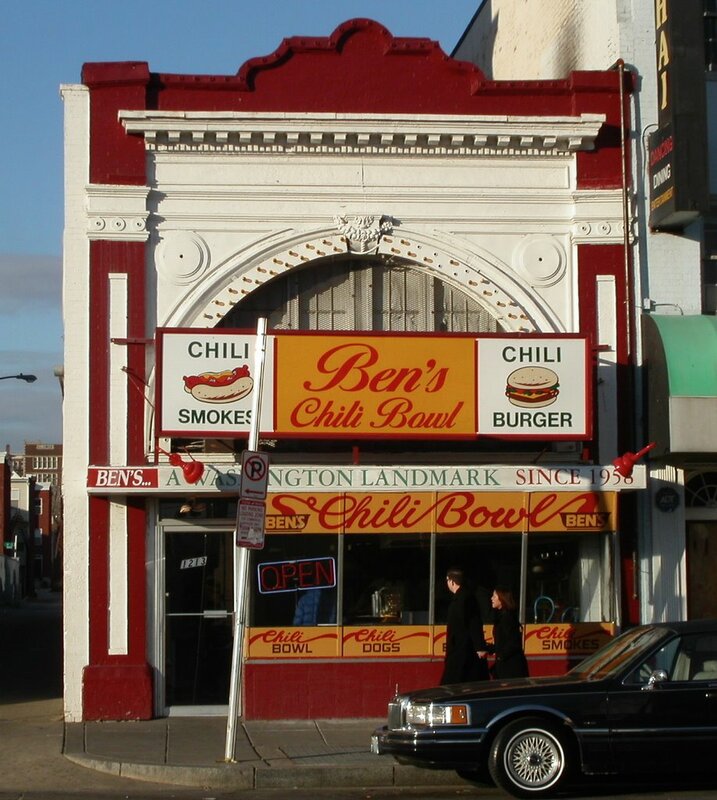 Ben's Chili Bowl (pictured)? Or a spot you'd rather keep secret? Ever bought a pack in a store to grill at home? Dish it in the comment section. thanks for the reading tip ... once again I'll be sharing your link for those looking for a foodie news "pop." And when I share it in my pub, I'll be able to use one of my Ben's photos that I love for its texture and color -- almost as much as their half-smoke. And mmm, hot half smoke sounds good, nobody. I like em spicy. The winner of the impromptu halfsmoke contest is made by Mangers in Baltimore and available at the Eastern Market meat counter. I'm partial to the Gwaltney halfsmoke available at Shoppers Food Warehouse; great meaty texture and just enough snap in the casing. As for Ben's sauce, the words "5-gallon can" and "Costco" come to mind. 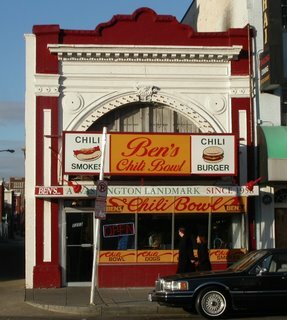 Even though I've lived in DC for a few years now, I don't think I've ever had a half smoke (or been to Ben's, but I've been meaning to go). For Super Bowl Sunday, we hosted, "Sausage Fest," and showcased different kinds of sausage. I got some half smokes from Canales at Eastern Market. They were pretty good, but a little too smooth for my taste. Sausage fest? Sounds like my kind of party.